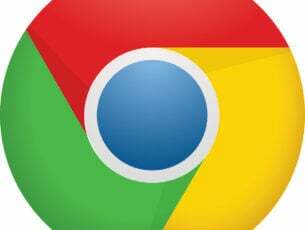 For some users, especially the ones from the countries with the limited internet access, a VPN is a must. However, this great rise of Virtual Private Network solutions brought a lot of lackluster applications. Some of those just won’t work as supposed, while others can invoke serious issues. One issue goes as far as breaking the system completely, by freezing it in the process. 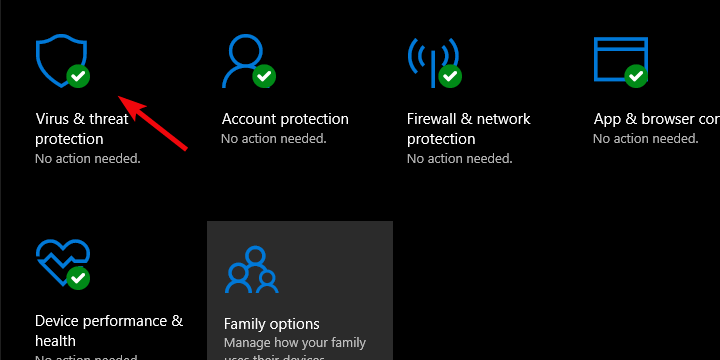 If the VPN froze your PC, follow the steps below to resolve it. First, we need to make sure that the VPN application is the one which causes this occurrence. The best way to determine whether a third-party application is causing system freezes is to start the given system in Safe mode. The Safe mode allows you to start the system with just minimal drivers and third-party applications. Once you’ve run it, you should be able to confirm whether the VPN is the culprit or not. If the system works in a seamless manner while in the Safe mode, we suggest following the further steps. On the other hand, if the issue is persistent, try resetting your PC to factory values. 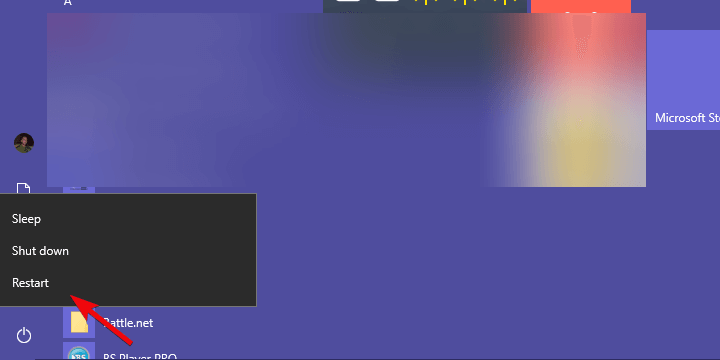 While holding Shift, click on Start > Power > Restart. Choose Startup settings and then click Restart. Select Safe mode (or Safe mode with Networking). If your system works without freezing, restart your PC and continue with the troubleshooting. On the other hand, if the issue persists, we suggest using the Recovery option (Reset this PC) or performing a clean reinstallation. 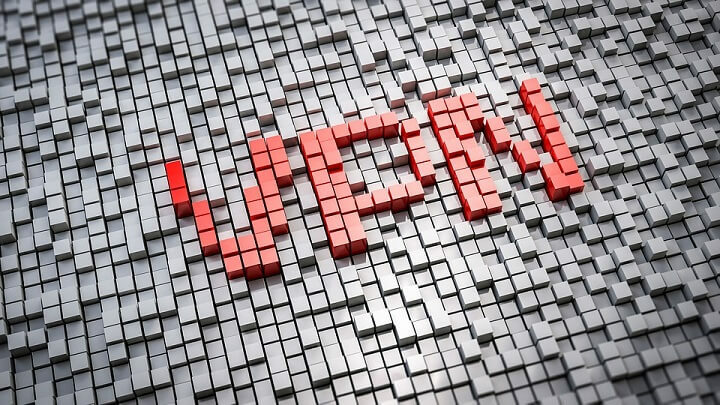 Most of the VPNs will, upon installing, install additional Network drivers and use them to create a virtual network adapter. 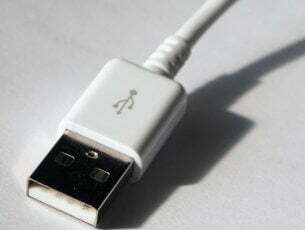 However, those, as same as accompanying software for other devices, can fail you in various situations. That’s why we encourage you to double-check the drivers and reinstall them. And we all know that a certain faulty driver can completely disrupt the system performance. The best way to do so is by reinstalling the VPN itself, as the drivers come with the installation exclusively. After you’ve done that, the problem should be addressed. 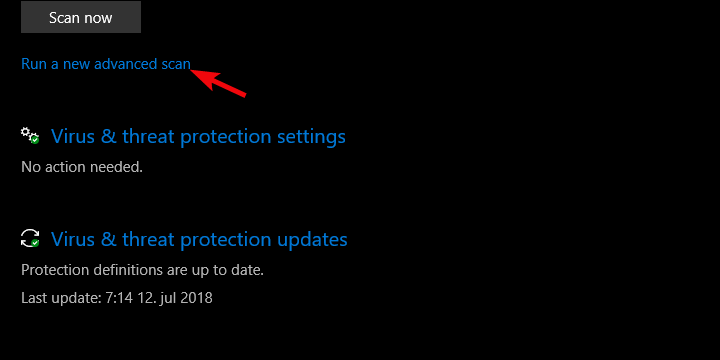 For the sake of checking, right-click Start and open Device Manager. Once there, expand the Network adapters section. Since we mentioned reinstallation as a solution for the driver issue, we need to explain how to reinstall VPN cleanly. The standard reinstallation won’t suffice since the VPN integrates into the registry. That’s why some users had issues with PC freezing, even after removing the troubling VPN. So, what we need to do is to remove the VPN cleanly and install it later on. Preferably, you’ll want to use a third-party uninstaller, which will track all associated files and remove them accordingly. 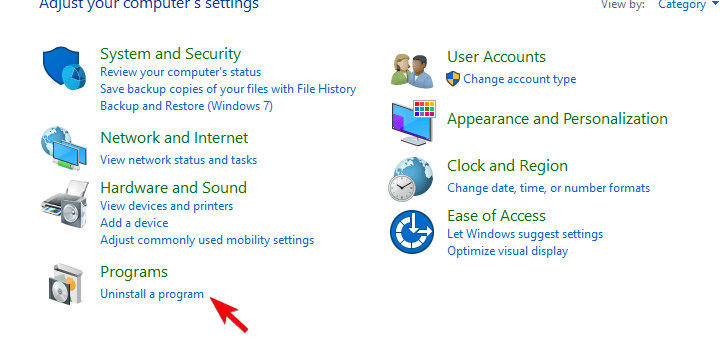 Open Control Panel by typing control in the Windows Search bar and selecting it from the list of results. Download and run IObit Uninstaller (free tool) and remove all associated files and registry inputs. Download the VPN client again and install it. The system freezes are not to be taken lightly. As shown is so many cases, this is just a start of an unrepairable critical error which will eventually force you to use the recovery options or reinstall the system. But, before we move to firm steps, let’s give the system utilities a try. There are two tools you can utilize through the elevated Command Prompt. Type cmd in the Windows Search bar. Right-click on Command Prompt and run it as admin. After the scan is finished and there’s nothing to report, try DISM. Open Command Prompt with administrative permissions. This can take a while. 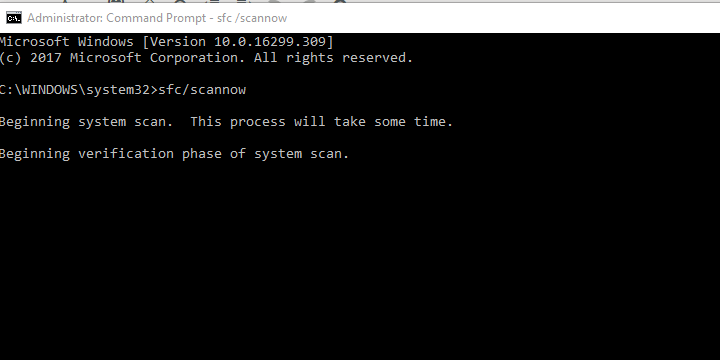 After the scan is done, restart your PC and look for improvements. 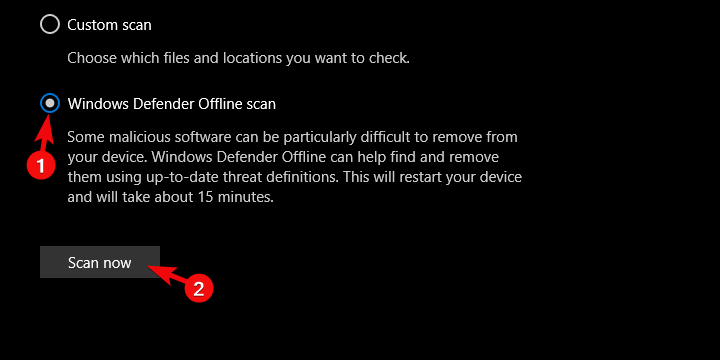 One of the essential precaution measures includes scanning Windows 10 for viruses. There’s always a possibility (not so distant, depending on your online habits) that the system is infected with a malicious software. Or, at least the VPN client you’ve been using. For that reason, we encourage you to perform a deep scan for possible malicious presence. Open ”Run a new Advanced scan”. Finally, the only things we can suggest consider resetting your PC to factory values and moving to a proper VPN solution. The final thought for many of affected users was that the VPN they were using was subpar in many categories. And that’s something you need to accept if you decide to run a free solution. What we rather suggest is trying if you really need to use a premium VPN. At least, if you use VPNs extensively (not for a single logging every couple of days). 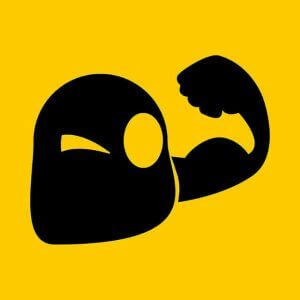 We suggest you check CyberGhost 7 VPN for Windows. This is the newest version of this amazing VPN tool and it has lots of new features and functionalities. On that note, we can call it a wrap. If you’re aware of some alternative solutions or have some questions to ask, feel free to post them in the comments section below. We look forward to hearing from you.